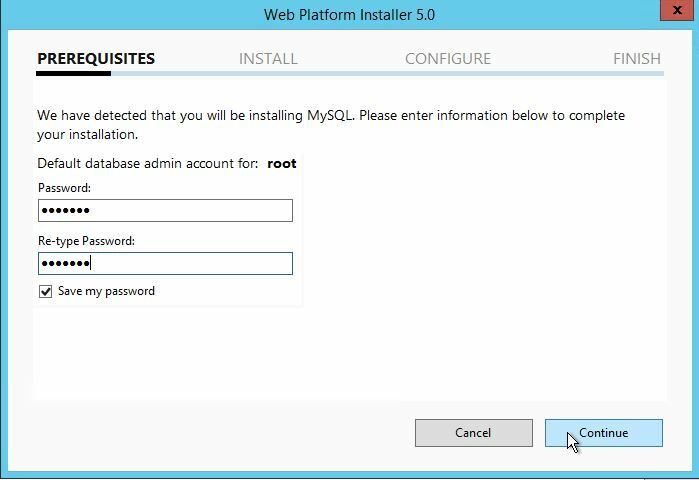 In this how-to we will walk you through Installing MySQL in Windows Server 2012 using the Microsoft Web Platform Installer (Web PI). MySQL is database management system that is widely used all over the world for its High-Availability and efficiency, in a number of cloud based companies including Atlantic.Net. Web PI is tool offered by Microsoft at no cost, facilitating the latest web applications in a single Web Gallery. – A Server with Windows Server 2012. 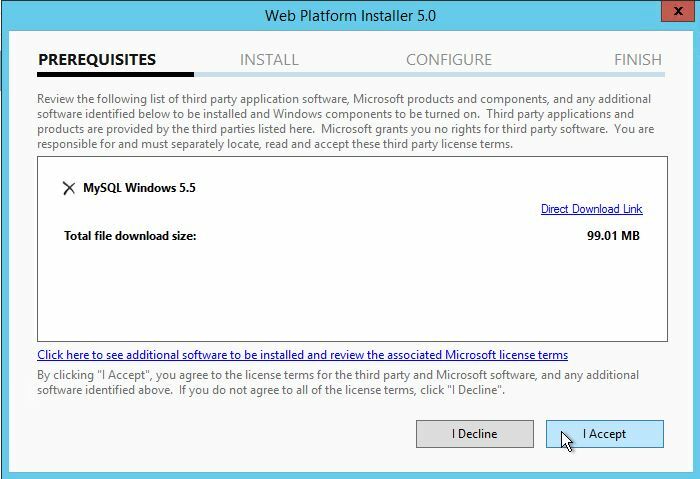 – Microsoft Web Platform Installer (Web PI) Download the latest version in here: http://www.microsoft.com/web/downloads/platform.aspx. Launch the Web PI application by running the wpilauncher.exe file that you downloaded in the preceding section. 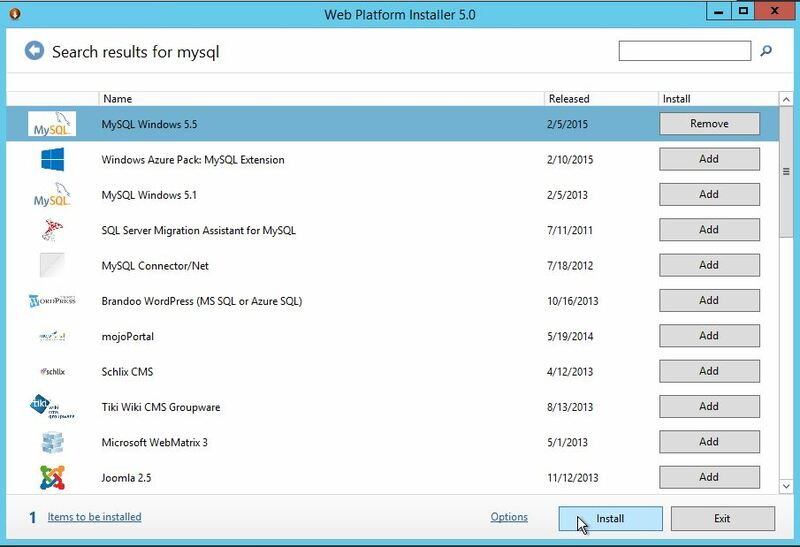 In the Web Platform Installer window, search for MySQL in the search box. Select the most current version of MySQL Windows or MySQL Windows 5.1 , click Add, and then click Install to start the installation. Provide a password for the root account of the MySQL server. Review the licensing agreement and click I Accept. After the installation is completed, click Finish. You can launch MySQL by running the mysqld.exe command from the installation directory. By default this is set to C:\Program Files\MySQL\MySQL Server 5.5\bin. Congratulations! You have just Installed MySQL in Windows Server 2012 . Thank you for following along in this How-To and check back with us for any new updates. Alternatively, check out other useful MySQL articles like How to Multi-Master MySQL with Percona and Keepalived. If you’re interested in installing MySQL on a HIPAA-compliant server with Windows Server 2012, contact Atlantic.Net for more information about HIPAA-compliant cloud storage hosting.